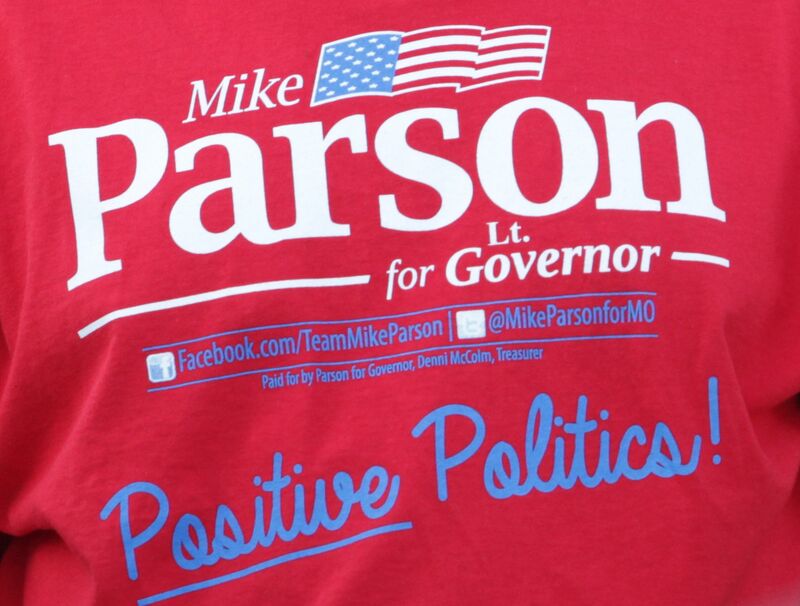 Contributions to Mike Parson’s 2016 Lieutenant Governor campaign for the third quarter – from the campaign’s October quarterly campaign finance report filed with the Missouri Ethics Commission. In the third quarter there were seven contributions of $10,000.00, twenty-three contributions of $5,000.00 or greater, seventy contributions of $1,000.00 or greater, 109 contributions of $500.00 or greater, 163 contributions of $250.00 or greater from individuals or entities. 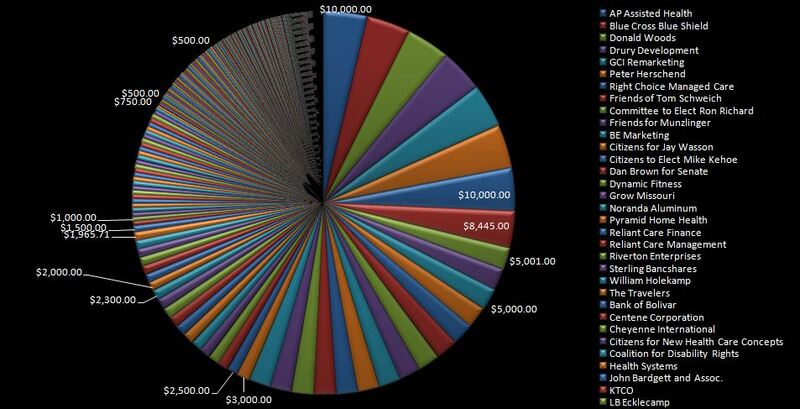 There were forty-four contribution of $100.00 and thirty-five contributions of $25.00. 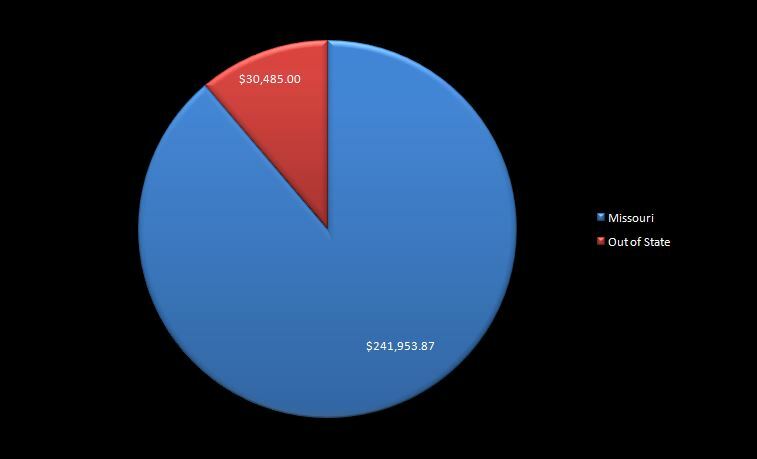 The distribution of contributions from Missouri and Out of State to Mike Parson’s 2016 Lieutenant Governor campaign for the third quarter – from the campaign’s October quarterly campaign finance report filed with the Missouri Ethics Commission.